Ellie is a pretty tortoiseshell with a lovely disposition. She must be adopted with her brother Joey. They are siblings who have always lived together. Ellie is strictly an indoor companion. She has no experience with a dog. She is very friendly and lovable. Check out Joey and Ellie’s story on the shelter’s homepage. Joey is a very handsome orange tiger with a friendly disposition to match. He must be adopted with his sister Ellie. They have always lived together and are very bonded. Joey is strictly an indoor companion. He has no experience with a dog. He would do best in a home with older children or adults. Check out Joey and Ellie’s story on the shelter’s homepage. My name is Tasha. I was found as a stray in a local town. Simon was found with me. The shelter staff is not sure if he is my brother or just a good friend. We do seem to like each other. 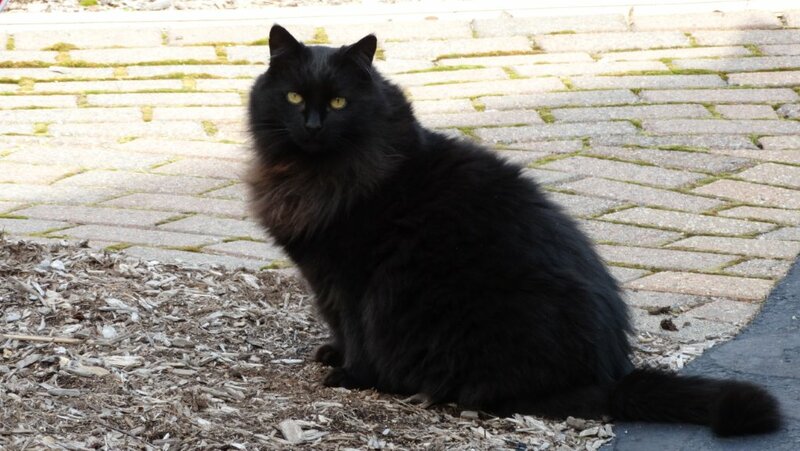 I have a very friendly disposition and I have been designated the official feline greeter at the shelter. Although I was found outside; I show no interest in the “great outdoors.” I don’t ask for much in life – good food and some attention and love. My name is Simon. I was found as a stray in a local town. Tasha was found with me. The shelter staff is not sure if she is my sister or just a good friend. We do seem to like each other. I am a little shy when I first meet new people. But once I get to know you; I love attention. I give the shelter staff “head butts” until they get a headache. I am very content being an indoor companion. Once I bond with my new “human” companion; I will shower them with love. 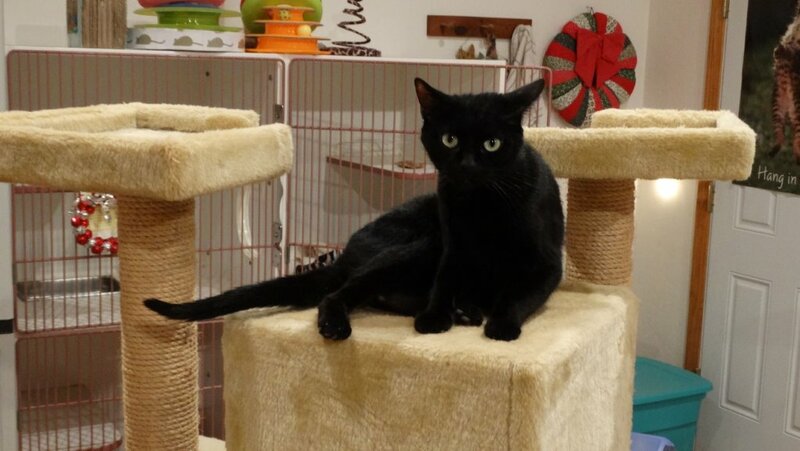 Cinder is a beautiful cat with a lovely disposition to match. She was found as a stray in a local town. She is healthy but she tested positive for FIV. It may be years. If at all, before the cat develops clinical signs of Feline Aids. It is impossible for a human to contract FIV from a cat just as it is impossible for a cat to contract FIV from a human. 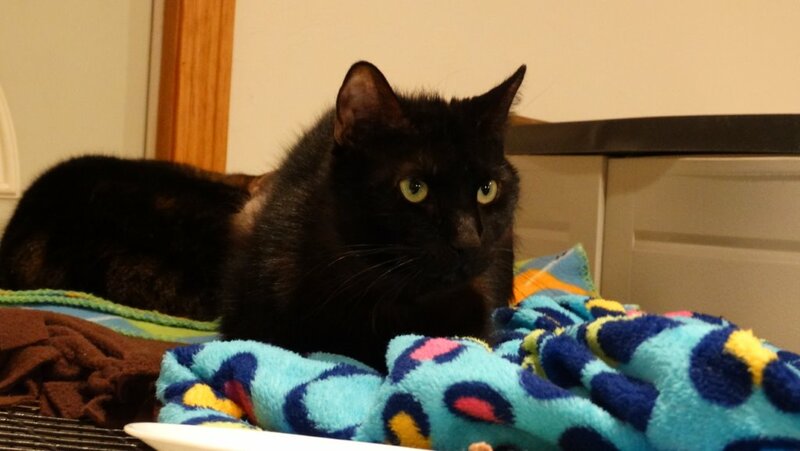 FIV positive cats can lead active, full, wonderful lives in loving home. She is a “low key” cat who is content with life. One of her favorite activities is eating especially delicious moist(canned) food. She is spayed and current on vaccinations. We are hoping that someone will open their heart and home to Cinder. She would really look lovely sitting under some lucky family’s X-Mas tree.